NATIONAL men's netball team player Ronald Phipps led all scorers on Saturday, with 34 goals from 44 shots, guiding Fire to a 50-35 victory over Police during round two action in the Courts All Sectors Netball League Premiership Division. Two Championship Division and three Premiership Division fixtures were played at the Eastern Regional Indoor Sports Arena, Tacarigua. By the end of the day, Fire and Police Youth Club (PYC) were the only teams in the Premiership Division with two wins after two rounds. Phipps, who is one of two male players representing Fire – as per a new Premiership Division rule this season – was his team's most potent force up front for the second straight match. Goal-attack Martinez Holder, Fire's other male player, scored an economical 6/7, and team-mate Simone Morgan scored 10/21. On the other end, Steve McSween scored 27/41 in a losing effort for Police. Goal-attack Jesselle Navarro's 7/8 shooting was also in vain. In the first Premiership match, PYC made light work of UTC, trouncing them 42-25 to remain joint-top in the six-team division. Tahira Hollingsworth starred with 26/37 for PYC, followed by Fabrice Fisher (9/14) and Cheynelle Dolland (7/15). Jason Noray scored 12/18 for UTC. Defence Force, responding to their heavy first round Premiership loss against Fire, whipped Las Lomas Academy 43-29. Goal-attack Kerry McMillan, a former national men's basketball player, scored 23/28, while his team-mate Anastascia Wilson recorded a similarly efficient 20/23. 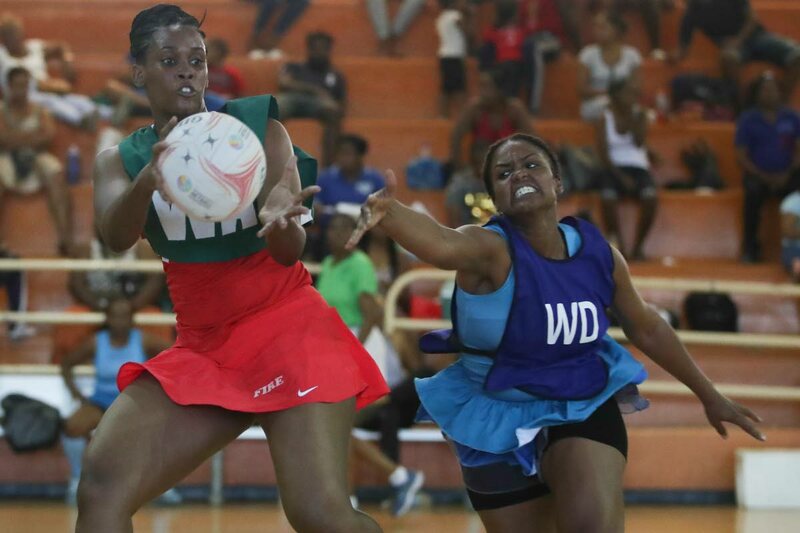 In the two Championship Division matches, Bermudez edged Jabloteh 36-35 for their second straight victory, and TSTT demolished Miscellaneous Laventille 45-9. For Bermudez, goal-shoot Makeda de Freitas enjoyed a stellar display, scoring 29/33. TSTT's best performance came from goal-shoot Kamila Sobers, who netted 28/41. The next round of Premiership and Championship Division matches will be played on Saturday. Two matches in the Retro Division and one Jean Pierre Challenge Knock-out Trophy match – originally scheduled for today – were postponement to Wednesday. Tomorrow's three matches in the Alternative Division will be played as scheduled. Reply to "Phipps guides Fire past Police"